Q1. 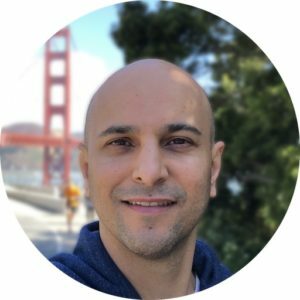 You’re an experienced psychiatrist and CEO at Youper, a tech company, how do you see the relationship between psychiatry and new technologies? Interesting to notice that despite Medicine being a field that is always evolving and adopting new technologies, I must admit that doctors are not the best examples of tech early adopters. It’s not different with psychiatrists. Sometimes, we need a little incentive from our patients. The development of new technologies is matched by great public demand. A recent poll showed that about 70% of Americans have an interest in using mobile apps to self-monitor and self-manage their mental health. The most recent advance is the rise of the AI-powered personal assistants. Ten years ago, AI assistants were the stuff of science fiction. Today, you are probably already interacting with one of them. Among the most popular are the Amazon’s Alexa, Apple’s Siri and Google Assistant. In the medical field, AI assistants are poised to become first-responders to medical problems. They are smart, focused agents who are available to help you any time, anywhere. I believe it’s safe to say that AI has the potential to improve mental health care. However, I don’t believe they will replace doctors and therapists, but it will help them get better at taking care of our bodies and minds. Q2. In practice, how does AI fit in therapy today, and how does the future look like? In the United States, one in four people suffers from some kind of emotional and behavioral health issue, accounting for more than 43 million Americans living with conditions like anxiety and depression. Of those, 60% did not receive treatment for their condition in the last year. The main reason people go without treatment for their mental illness is that they can’t afford medical treatment or, equally sadly, because they are afraid of the stigma attached to mental illness. AI can help doctors lower both of these barriers by providing mental health support to people who might otherwise go without care. For a traditional consultation with a psychiatrist, you can expect to pay something in the ballpark of $100–300 per hour. AI assistants, on the other hand, might cost you a fraction of that. Even if it doesn’t completely eliminate the cost of treatment for a mental condition, it does go a long way towards reaching people who can’t afford treatment otherwise. At the same time, AI assistants are less intimidating than medical professionals. Rather than worrying about being seen walking into a therapist or psychiatrist’s office, you can use an AI app in the privacy of your own home. If you feel like you can’t admit your feelings to another human being, even a medical professional, you might find relief in talking to an AI assistant. Q3. Integrated and personalized care is becoming more and more important in delivering high-quality health care. What is the relationship between AI for mental health and personalization? I’ve been a psychiatrist for 12 years, helping people who suffer from a wide range of emotional health issues. Whatever the case, the most common thing I’ve heard from patients is: “It took me years until I dared to reach for help.” This is in line with studies that show that it takes an average of ten years someone with mental health issues to see a healthcare professional. Until people finally see a healthcare professional, they try to overcome the problem by going through all kinds of self-help solutions. However, the challenge is finding a solution that fits your needs. Unfortanelly, the vast majority of self-help solutions have a one-size-fits-all approach. Take the meditation hype example. It has been commercialized as a panacea that can solve all your problems. Meditation and mindfulness are wonderful techniques, but it’s important to consider personal needs and style to take advantage of them. In fact, researchers show that several effective therapy approaches can be successfully applied as guided self-help or internet-based treatments for anxiety, depression, and other issues, but without personalization, it’s impossible to achieve success in mental health care. Q4. You talk a lot about science and evidence-based approaches at Youper. Can you share more about the research behind Youper? I believe that the science of the human mind is the science of happiness, and we want to contribute to that. Youper is using artificial intelligence to unlock a new understanding of the human mind and develop more personalized treatments for conditions like depression and anxiety. This quest is only possible because we’re partnering with our thousands of users around the world to understand how emotions, thoughts, and behaviors are connected. The Emotional Health Atlas is one of our research projects that is generating insights about the most common emotions in each state across the U.S. and about the factors influencing moods and behaviors. It’s the first research using live results based on Youper users’ real-time feedback about their mood and the factors influencing them while using the app. The sample includes adults, aged 18 and older, living in all 50 U.S. states who agreed to participate in the research. Q5. Youper can help users detect and monitor symptoms of depression, anxiety, and social anxiety, how far away are we from using AI for diagnosis? Do you think AI should be used like this? Detecting symptoms is the first step, but it’s not a substitute for medical diagnosis. Healthcare is extremely complex and, of course, there may be very serious consequences if anything goes wrong. Unlike other areas of tech, you cannot launch a minimally viable product in healthcare—you have to be sure that your technology is safe and accurate. It’s vital that AI is being deployed in such a way that it does not replace human contact and judgment, especially where complex needs have to be assessed, or decisions made about treatment plans. In my opinion, AI will supplement and help doctors with diagnostic decision making and support patients by monitoring their conditions between the visits to doctors’ offices. Q6. What’s the importance of user engagement in mental health, particularly in the digital therapeutics? How do you approach it at Youper? Despite demonstrated efficacy, digital interventions are characterized by relatively poor adoption and adherence. A hypothesized reason for this lack of adherence is the loss of the human interactional quality that in-person therapy retains. That is a lesson learned at Youper. We worked several months without rest to build the first version, assembling the most effective psychological techniques initially helping people to overcome social anxiety. Within the first week of launching, our team received a great surprise: people all over the world were using Youper and leaving impressive feedback about their improvement and how the app was having a life-changing impact. Our whole team celebrated, but after coming down from the excitement of the positive feedback, we turned to the data. People were, indeed, having significant symptom reduction, at least those who were committed to using the app. I got a kick in the stomach when I saw our behavior analytics dashboard and saw that only a small percentage of users were really engaged. What was happening? Where had we gone wrong? The psychological techniques were in place, so we needed insights from users. Our data told us who was engaged and who wasn’t, and both groups had opinions that could help us understand what was working well and what wasn’t. Through the user interviews, a light appeared at the end of the tunnel. We realized the right solution wouldn’t be an app or an online program. The feedback showed us that people were looking for something more personal, like a confidant or a friend to share sensitive things with and get support. At that moment, Youper Emotional Health Assistant was born. To become this assistant, we researched a lot, went deep into technologies that could make the assistant a reality, like artificial intelligence, and pushed ourselves to the limit to create a fantastic user experience. Our hard work proved worthwhile, as the user engagement more than tripled since then, and that reflects on the reviews Youper receives in the App Store and on Google Play: it became the most beloved assistant on the planet. Q7. How do you deal with patient data security and safety? The protection and confidentiality of our users’ data are critical to us and you follow the terms of the General Data Protection Regulation (GDPR). The accounts are protected by a password for your privacy and security. All transmitted and stored data are encrypted. Q8. As the field develops how does Youper plan to stay ahead of the game in a rapidly evolving field? We are on mission to help everyone on the planet to become the best version of themselves, like being a super you. In fact, Youper is You + Super. To keep us on track and ahead of the game, we’ll keep doing what made Youper become the most beloved assistant on the planet: listening to our users and using technology for good. We believe that crafting amazing user experiences and delivering real health outcomes are only possible when we put users in first place and use technology, like artificial intelligence, to push forward the human potential. We have great launches ahead, including partnerships with Universities and health centers to help our users take control of their emotional health. Jose Hamilton Vargas is a psychiatrist member of the American Psychiatric Association, author of two books, co-founder, and CEO of Youper, an assistant that helps people improve and manage their emotional and behavioral health. He cares most about technology, particularly artificial intelligence, for good.